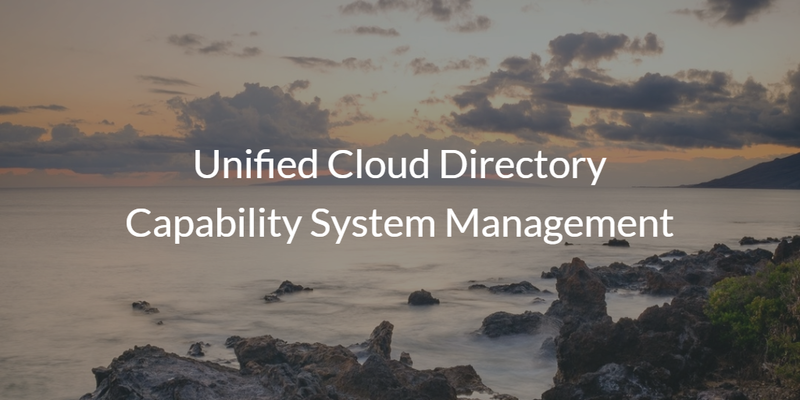 For a unified cloud directory service platform, system management is a critical capability. When this feature was introduced by Microsoft Active Directory they were seen as pioneers. They did something that other legacy services like OpenLDAP did not. However, there was a major issue with their system management offering: it was only capable with Microsoft Windows. In the modern office, Windows is no longer the sole player. Apple products are proliferating organizations more and more each year. Now, IT admins face the challenge of finding ways to manage this diversity of systems. 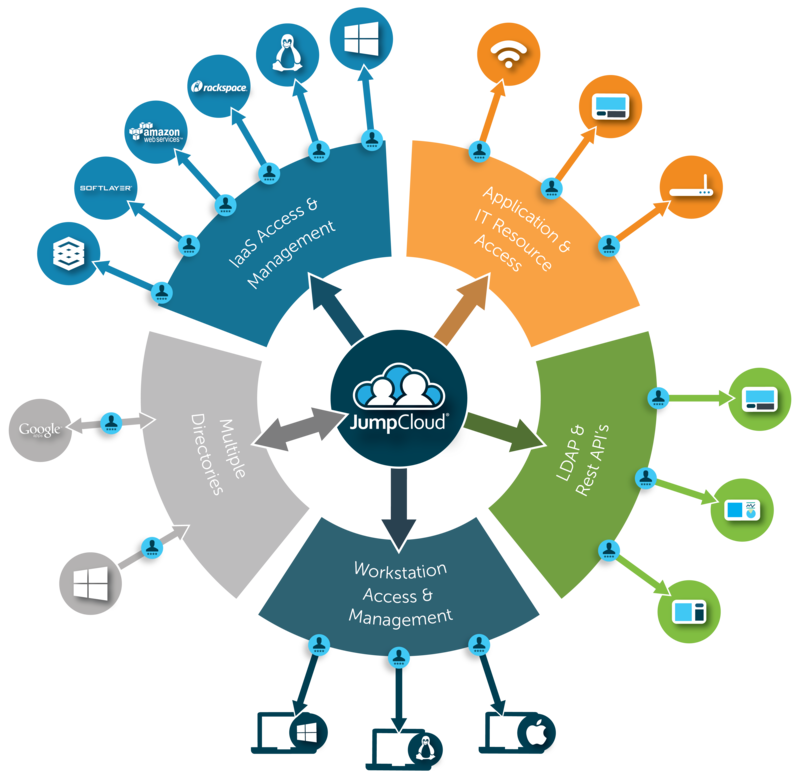 JumpCloud’s Directory-as-a-Service® delivers a solution in its ability to manage Mac, Linux and Windows. Managing systems has slowly become more and more challenging as diverse networks have slowly overtook the Microsoft dominated workplace. Networks, systems, and applications are all connected to these mixed platforms, which has forced IT to address a growing number of issues. Ensuring security is now a more difficult task, which has led to the process becoming an integral piece of IT management. The delivery of policies throughout the entire infrastructure has also populated as a critical task. Even simple policies such as enforcing screen saver lock on machines can be as complex as carrying out tasks on your Linux servers. Historically, managing remote systems and devices required some rather pricey and time consuming on-prem solutions. Active Directory was one of the solutions, but it only functioned with the Windows platform. Where multiple operating systems existed, bulky on-prem software was present. These solutions forced organizations to cordon off a great deal of time and manpower from the overall IT group. 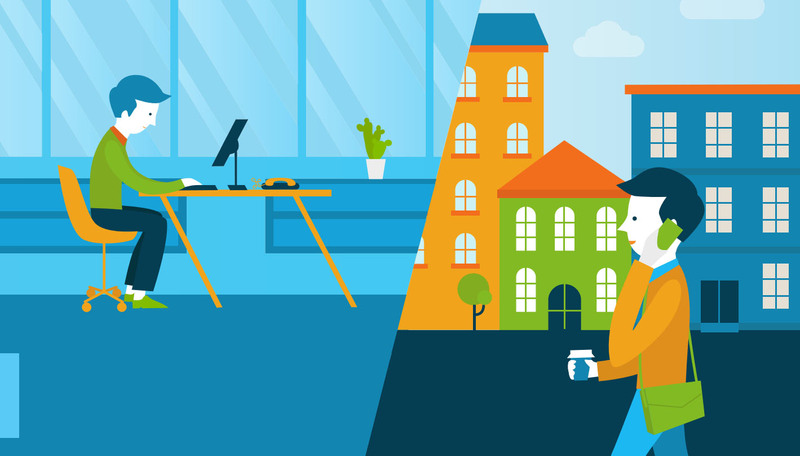 These legacy system management solutions have begun to disappear with the inception of the cloud and Infrastructure-as-a-Service managing remote workers. The result has been countless hours saved for IT admins. JumpCloud’s Directory-as-a-Service unifies system management solutions, functioning with Mac, Linux, and Windows devices. With our unified cloud directory, IT admins can complete tasks via the command execution capability. This can be done in whatever language the system supports. Within JumpCloud’s cloud-based infrastructure, IT admins can easily upload a script and securely execute it across all systems. A predetermined schedule can be coordinated, or the admin can execute the scripts on the fly. Upon completion, a complete record of the task is delivered, along with all pertinent information, including any errors that arise during execution. All system management tasks can be carried out by an IT admin directly within JumpCloud’s command execution tab. Everything from installing software and patching systems, to controlling IT environments and securing devices can be automated here. To learn more about how JumpCloud’s unified cloud directory is capable in managing all systems drop us a note. If you would like to get your hands on Directory-as-a-Service immediately, try out our free trial today. For in-depth assistance in executing tasks on systems take a look at our Knowledge Base.